It's that time of the year when all companies are reporting their quarterly financials, and AT&T is no exception – in the second quarter of the year the carrier added 320,000 net new subscribers and raked in profits of $3.9 billion. Those numbers beat analysts expectations, but still are below what AT&T's main rival Verizon Wireless announced last week. 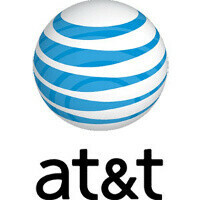 AT&T posted quarterly revenues of $31.6 billion with wireless making up $16.4 billion, growing 4.6% on the year. At the same time, the operator managed to keep churn at a record low level of 0.97%. "Our mobile Internet leadership continues, with solid gains in smartphones and tablets, plus our wireless margins have never been better. And most impressive, with this growth, we also achieved our best-ever postpaid wireless churn, which points to the premier experience customers receive on our network. All of these things add to our confidence and enthusiasm looking ahead,” chief executive Randall Stephenson summed up. AT&T sold 5.1 million smartphones and interestingly average revenues for smartphones are twice that of other subscribers. АТ&Т remains the carrier to contribute most new iPhone activations as in Q2 2012 the number hit 3.7 million. Smartphones in general now make up 62% of postpaid phones, up from 50% at the same time last year. AT&T is also bragging about having a third of its users on 4G, but that likely includes HSPA+, not just LTE at the moment. I don't understand why people are always hoping the price of wireless will go down. Wait, that's not quite true, I understand why, but I just don't understand why people get so upset when the price doesn't go down. Does anything ever really get cheaper? It all goes up: wireless, gas, food, utilities, clothes, cars, houses, movies. It just seems to me that too many people sign up for something that they really haven't budgeted for and then expect the provider to make it cheaper for them. That isn't their responsibility. Well with an almost 4 BILLION profit in ONLY the second quarter, you would think they would pass down some savings. That is a heck of a lot money. $$ $$ $$ If I had a tenth of that, my family, my kids families & their kids family would ALL be wealthy & NEVER EVER have to work. That is insane amounts of profit. especially AFTER paying off all their employees, exec's, ceo, thats the PROFIT earned for their company... thats TOO MUCH MONEY. I dont care what anyone says, u cut prices up to HALF of their priceplans, u would look at a "2 BILLION" profit..... still too much money to be charging us consumers.. oh and gas prices, food, utilities, they are ALSO making record braking PROFITS, profits mean you overcharge something of what u got it for or made it for and sell it to consumers who are willing to buy because of supply and demand. everyone needs a cellphone now adays, its how we are acustomed to living, if they raised the prices 200%, guess what, we'd still all pay it and still complain its too expensive.. The only way we can drive prices down is CUTTING supply and demand, BOYCOTT the wireless companies, gas, only buy generic brand foods, that would drive prices down but we dont and wouldnt want to do that now would we? in all honesty i hope they use this money to push out more LTE. i need that tihs in columbus. How clueless could you be? I'll type it slowly so you can understand: COMPANIES ARE IN THE BUSINESS FOR THE SOLE PURPOSE OF MAKING MONEY. THAT'S IT. As much as they like to pretend they care about their customers, they only care about them as long as the customer keeps paying the bill. You think I'm wrong, try not paying your power bill for 6 months and see how they respond. As for the "too much money" crap: get real. A large portion of that profit is re-invested in their network. LTE cell towers don't grow on trees, and they aren't cheap. Since when was profit evil? Do you work a full-time job and then only take home the money necessary to survive? Or do you put the extra "profit" in a savings account, or spend it on other things? If you are turning a profit by working, do you think you are overcharging the company for your work? The fact of the matter is, you are working because you profit from it. Same with companies. Generic brand foods are often made on the same production lines by the same companies that make the name-brand stuff. Just like Boost Mobile and Virgin Mobile use the same cell towers as Sprint (and I believe are actually controlled by Sprint as well). Going "generic" is still feeding the corporate profits you claim to despise, and often to the same supposedly despised companies. sprint owns boost and virgin. you are correct sir. yes, but there is a word you seem to be ignorant of, its called ABUSE! LOL, looks like you were paid by ATT as there spokes greed person! hahahaa, i guess the GAS / OIL companies are immune to what you say also! FALSE!! Funny no mention of AT&T activating 3.7M new iPhone, for a 73% share of all Ma' Bell smartphones. A lot of people still consider ATT the 'iPhone' network. If you walk into a VZ or Sprint store you're more likely to be recommended a high end Android phone. not in my store haha yes i work at at&t everytime someone comes in the store looking for a smart phone me and the other 2 guys i work with always show those persons android phones first and show them that most android phones have better specs than the iPhone's if they still decide they want an iphone then thats up to them. same thing happens at my verizon store. 5.1 million smartphones of which 3.7 M iPhones... Would anyone have knowledge on how to break down the remaining 1.4 Million units? Especially in regards of Lumia's? I was thinking about it. If I remember it correctly, around 0.3 - 0.4 million Lumia 900 were sold. That's about 25% of the remaining 1.4 million units - which is actually pretty good !!! The rest split between Android and BB (say on 3:1 ratio - just guessing). So android gets 0.75 million and BB gets 0.25 million.